Good news, O’Brien Pharmacy is in the CVS/Caremark Pharmacy Network! To our current customers: you are not required to change pharmacies. You can continue to fill your prescriptions just as before. No action is necessary on your part. If you have received different information from MVP’s help desk or website please call Sean O’Brien at 518-885-7330. We appreciate your business and look forward to continuing to serve you. 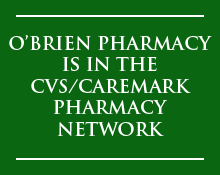 Are you in the CVS/Caremark Network but not yet an O’Brien Pharmacy customer? We would love the opportunity to serve you! We proudly offer personal customer service, online and mobile prescription ordering (and traditional ordering, of course), and over 50 years of experience. 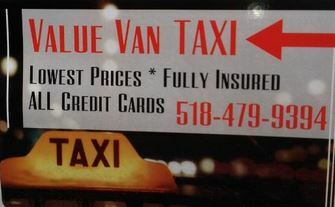 Stop in at 4 Front Street or give us a call at 518-885-7330 today!